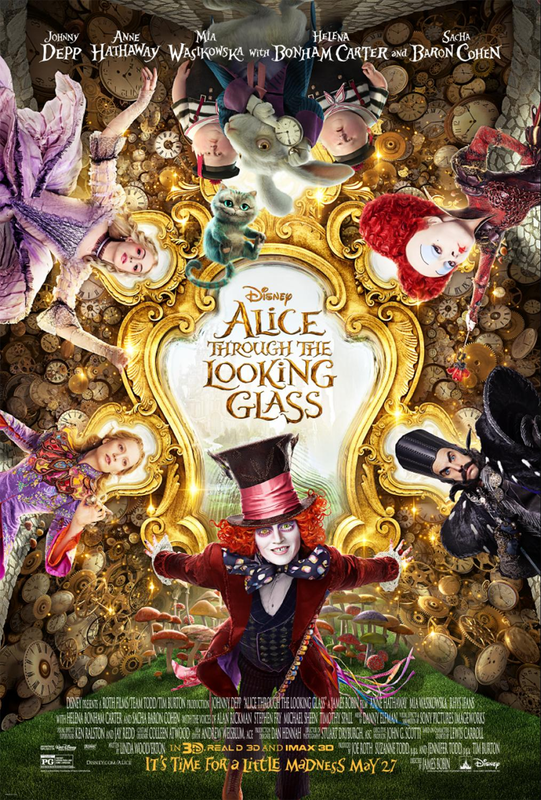 Disney’s Alice Through the Looking Glass is one of my most anticipated films for 2016. I mean, it stars Johnny Depp for goodness sakes! I absolutely adore him. And it’s directed by James Bobin. Remember my Muppets interview with James Bobin? He’s fabulous! Check out the new poster and brand new look at Disney’s Alice Through the Looking Glass featuring three-time Grammy® winning singer/songwriter P!nk’s cover of the iconic song “White Rabbit.” P!nk will write and record an original song for the film and you can get a behind-the-scenes look at P!nk’s cover of “White Rabbit” in the featurette. It will be as amazing as she is with everything she does! This movie is going to really inspire imagination. Disney’s Alice Through the Looking Glass features the unforgettable characters from Lewis Carroll’s beloved stories. Alice returns to the whimsical world of Wonderland and travels back in time to save the Mad Hatter. When Alice wakes up in Wonderland she must travel through a mysterious new world to retrieve a magical scepter that can stop the evil Lord of Time before he turns forward the clock and turns Wonderland into a barren, lifeless old world. With the help of some new friends, Alice must also uncover an evil plot to put the Queen of Hearts back on the throne. Disney’s Alice Through the Looking Glass stars Johnny Depp, Anne Hathaway, Mia Wasikowska, Rhys Ifans, with Helena Bonham Carter and Sacha Baron Cohen. Since her debut in 2000, P!nk (Alecia Moore) has released seven records, sold over 60 million albums, over 130 million singles, over 2.4 million DVDs worldwide and has had 14 singles in the top 10 on the Billboard Hot 100 chart (four at #1). In addition, she is the recipient of three GRAMMY® Awards, three Billboard Music Awards, six MTV Video Music Awards, two MTV Europe Awards, two People’s Choice Awards and was named Billboard’s Woman of the Year in 2013. Her “The Truth About Love” World Tour played 142 shows in 13 countries. In the fall of 2014, she released a side project with singer/songwriter Dallas Green entitled “You+Me.” Their album, “rose ave.,” debuted at #1 on Billboard’s Folk Album chart and #2 on Billboard’s Digital Album chart. In 2015, P!nk became the newest UNICEF Ambassador. She is also a huge supporter of various charities, including: Make a Wish Foundation, Autism Speaks, Human Rights Campaign and No Kid Hungry. She is currently a spokesperson for COVERGIRL, and made her acting debut in Lionsgate’s “Thanks for Sharing,” alongside Gwyneth Paltrow and Mark Ruffalo. 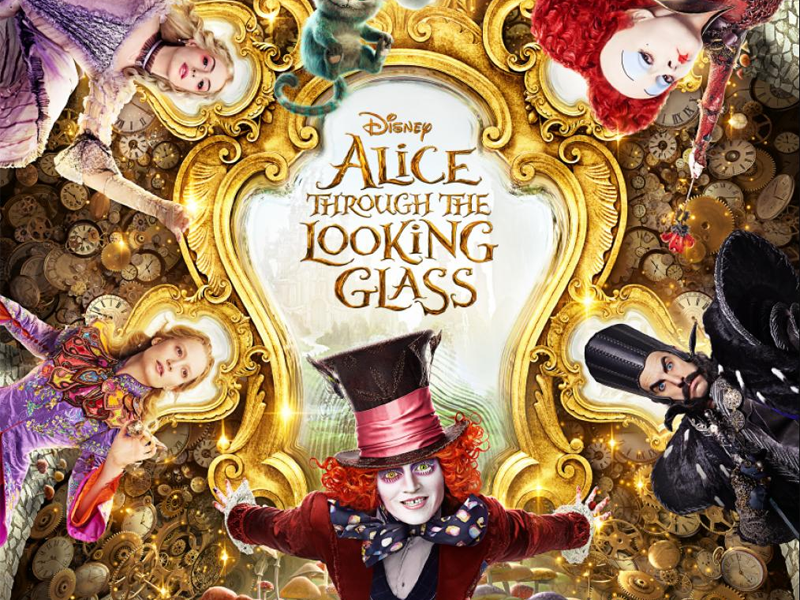 Disney’s Alice Through the Looking Glass is produced by Tim Burton. Alice Through the Looking Glass opens in theaters everywhere on May 27th! What’s your most anticipated movies of 2016? Comment below and share with us!